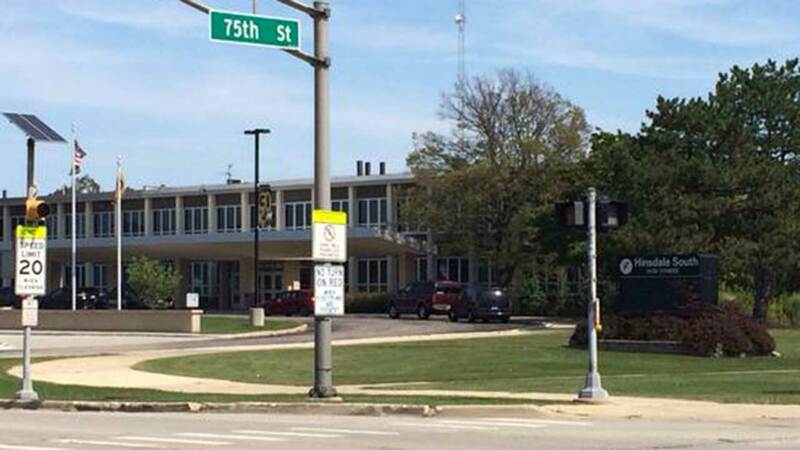 DARIEN, Ill. (WLS) -- Two Darien schools were on alert Tuesday afternoon after gunshots were fired in a nearby apartment complex, officials said. At about 2 p.m., police determined that there is no public threat. At about 11 a.m., shots were fired in nearby Willowbrook Apartments on Tennessee Avenue in Willowbrook, which is adjacent to the Hindsdale South High School in Darien, according to Hindsdale Township High School District 86. The school is under a "shelter-in-place directive," school officials said, which means there is limited movement of staff and students within the school and no one is permitted to exit or enter the school. Nearby, Our Lady of Peace Catholic School in Darien also was placed on soft lockdown. Willowbrook police said in a statement that a patio window of the Willowbrook Apartments was damaged by a bullet. No one was at home. No injuries were reported. Hindsdale officials said after-school activities will continue as normal.